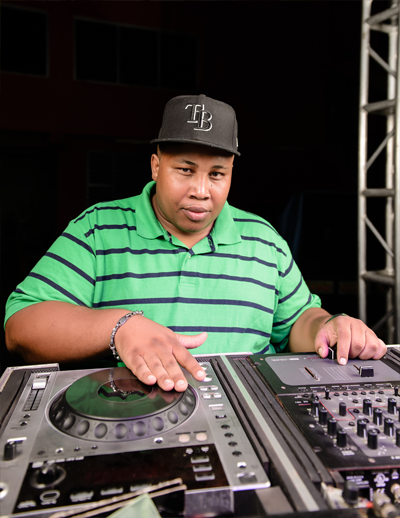 Michael Myers, more popular known as DJ Mookie, is one of the most sought after disc jockey in Portland, Jamaica.Michael Myers is an automotive body mechanic by day and 300 pound of raw party vibes at night. His popularity is enjoyed by event promoters and his electrifying energy is what the party fans crave for and craze about. Patrons admire not just his talent for musical selection but his presentation of the craft that easily energizes a dead Pokies crowd as he makes that extra effort to satisfy their entertainment appetite. Being well socialized, and approachable DJ Mookie is a household brand that is admired by all ages. He never forgets a fan from the club when in the street and still maintains humility. Being a premier DJ on Stylz FM, he is now able to share his talent with the wider world, and the momentum of his hyped energy is garnering international interest from online viewers/listener.